Eventually, you’ll need to find a lost e-mail among the hundreds (thousands?) in your e-mailbox. 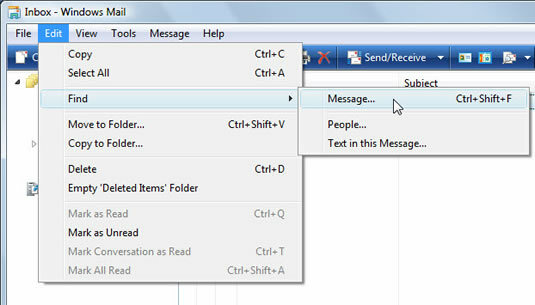 Windows Vista offers three ways to find a lost e-mail message. 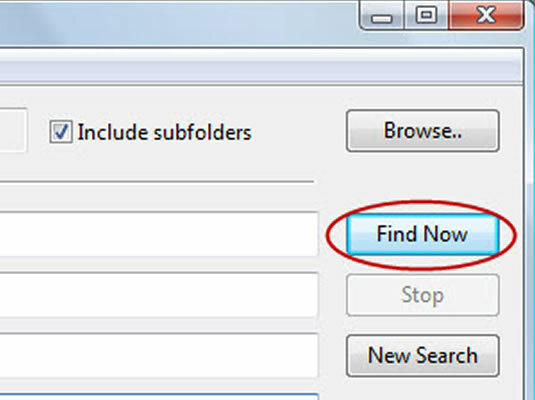 If you know which folder it’s lurking in, click that folder’s name. Then click in Windows Mail’s Search box in the upper-right corner. Type the sender’s name, or perhaps a few words from the e-mail, and press Enter. Don’t know the folder? Try the Start menu’s Search box. The Start menu’s Search box constantly indexes your e-mail — and the Start menu’s Search box works like a mini-Google to find it. 1Choose Find from the Edit menu and select Message. The Find Message dialog box appears. 2In the Find Message dialog box, search for messages that contain certain items. Here are your options: Look In, From, To, Subject, Message, Received Before/After, Message Has Attachment(s), and Message Is Flagged. 3Click Find Now when you’re done filling out the boxes. 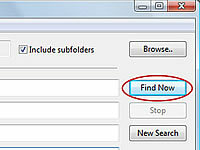 Vista rummages through your folders, listing any e-mails that fit your search.